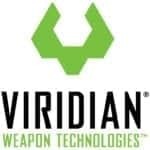 Viridian Weapon Technologies is a laser sight manufacturer, responsible for a number of industry-leading product innovations in green and red laser sights, taclights, ECR Instant-On technology, TacLoc holsters, and shooting accessories. 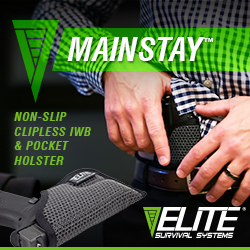 Headquartered in Minneapolis, Minnesota, Viridian is devoted to utilizing cutting-edge technology to offer compact, powerful self-defense products for the civilian, military, and law enforcement markets. 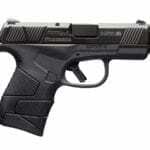 Viridian products are designed and built in the USA. 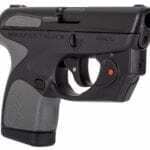 Introducing the Viridian E Series red laser sight designed for the new Mossberg MC1sc pistol. 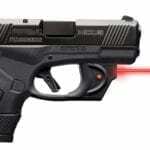 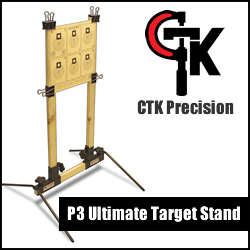 The powerful laser is available as an inline package from Mossberg or as an accessory from Viridian. 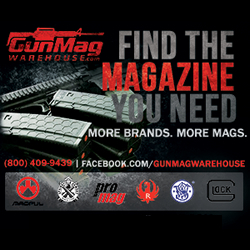 The Mossberg MC1sc subcompact 9mm concealed carry handgun is available in five configurations, including versions with TRUGLO Tritium Pro Night Sights or a Viridian E-Series Red Laser. 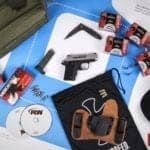 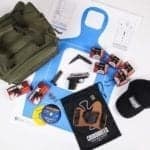 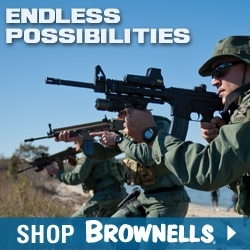 Springfield Armory Auctions EDC Package on GunBroker to Benefit C.O.P.S.